Individuals interested in job security should consider a career in nursing. According to the U.S. Department of Labor, at least a million registered nurses are needed by nationwide 2018 to fill nursing job openings. Students who major in nursing will be prepared for careers with limitless growth and learning potential. Nursing students have the option of obtaining a practical-nursing degree to complete the training necessary to become a licensed practical nurse (LPN), otherwise known as a licensed vocational nurse (LVN). Nursing students also have the option of obtaining an Associate Degree in Nursing (ADN) or Bachelor’s of Science in Nursing (BSN) to begin their career as a Registered Nurse (RN). Typically, nursing graduates with bachelor’s and graduate degrees enjoy more job opportunities than those who opt to earn a nursing diploma of ADN. It takes one year to obtain a certificate in licensed practical nursing. During your education, you will receive classroom instruction in nutrition, anatomy, and other subjects and complete hands-on training in hospitals and other clinical settings. After graduating and passing a licensing exam, you will be permitted to administer patient care and assist physicians and registered nurses. It takes 2-3 years to obtain an Associate Degree in Nursing (ADN). Students enrolled in ADN programs are required to complete numerous science and specialized nursing classes, such as geriatric nursing, pediatric nursing, and microbiology. Students earning ADNs spend more time in classrooms than students completing certificate programs. Nurses holding ADNs are permitted to administer direct patient care in various medical settings. 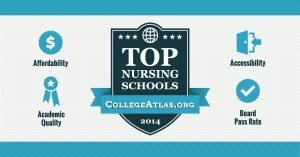 Universities, colleges, and some hospital schools offer associate degree programs in nursing. Students interested in expanded options, such as graduate study, should earn a Bachelor’s Degree in Nursing (BSN). It takes 4 years to earn a BSN. Nurses holding BSNs can administer patient care in numerous medical settings. The BSN is the degree of choice among employers looking to fill entry-level nursing positions. Students completing a bachelor’s degree in nursing will develop leadership, critical thinking, and communication skills in addition to obtain a practical knowledge of nursing science. BSN students also complete advanced nursing classes to learn about complex diseases, advanced medical treatments, and sophisticated medical technology. Learn more about nursing schools, nursing degrees, and nursing careers. There are very few fields that provide as diverse educational options and career paths as nursing. Before you get started in a career in nursing, it’s important that you take the time to familiarize yourself with the different nursing certificate, diploma and degree programs that are available to you. Each one can provide certain benefits and advantages, depending on your unique situation and career aspirations. Make sound decision with respect to your nursing education will help you avoid wasted time and money and set you up for a successful career in nursing. The diploma in nursing, more commonly referred to as just “nursing diploma”, is a post-secondary, tertiary design that is the minimum qualification for becoming a practicing nursing. While still available through some hospital-based nursing schools, the popularity of the nursing diploma had declined dramatically in recent years. Most students opt for either the Associate Degree in Nursing or Bachelor’s Degree in Nursing — both of which qualify students to become Registered Nurses. The Licensed practical nurse (LPN) program, or licensed vocational nurse (LVN) program in some states, usually involves basic patient care training provide by a hospital, vocational technical school or community college. Graduates of a recognized LPN program are eligible to sit for the NCLEX-PN® examination after receiving their diploma or certificate. Student will be awarded licensure as an LPN or LVN after passing the examination. The LPN-to-Associate degree program is designed for licensed practical nurses and licensed vocational nurses who want to earn a degree that will allow them to sit for the NCLEX® examination and qualify for licensure as a Registered Nurse. This degree program is also commonly referred to as an LPN-to-RN bridge program as it “bridges” the gap between the LPN and RN designation. The large majority of LPN-to-RN programs are simply LPN-to-Associate degree programs. The Associate of Science in Nursing (ASN) is a 2-year nursing degree program that teaches students real-world skills in direct patient care and nursing science. This degree also provides a platform for pursuing a Bachelor’s of Science in Nursing (BSN) degree in the future. The ASN qualifies students to sit for the NCLEX® exam and receive licensure as a registered nurse and does so in half the time it takes to earn a BSN degree. The ASN is one of the fastest ways to become a practicing registered nurse. The LPN-to-BSN degree program is designed to enable licensed practical nurses (LPNs) or licensed vocational nurses (LVNs) to earn their BSN degree. This program is also incorporated into certain LPN-to-RN programs where student can earn their BSN degree in preparation for licensure as a registered nurse. The Bachelor of Science in Nursing (BSN) is a 4-year nursing degree and is the preferred degree by most nursing employers. Earning this degree provides students and working nurses the best career opportunities in today’s healthcare market. If you review online job postings for nurse positions you’ll notice that a BSN degree is a common application requirement. The first two years of most BSN programs is spent fulfilling general education requirements, while the final two years of the program include primarily nursing science and patient care courses. The RN-to-BSN degree program designed for registered nurses who have already earned an associate degree or diploma in nursing and who want to complete a BSN degree. The RN-to-BSN degree allows students to apply credits toward their degree based on prior experience and schooling. The programs are usually very flexible as they are designed to meet the needs of working nurses. Many nursing schools and colleges have multiple start dates each year for these nursing programs, rather than just one date in the Fall. There are also several online RN-to-BSN programs that students can apply to. Approximately 30 percent of BSN graduates come from RN-to-BSN programs. 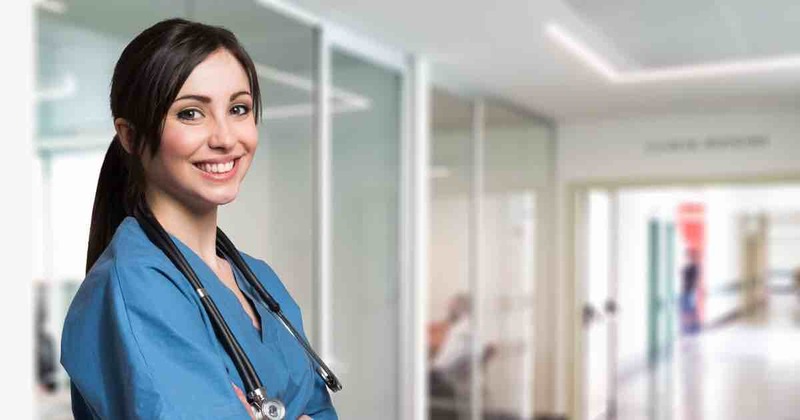 The Second Degree BSN, sometimes referred to an Accelerated BSN, is designed specifically for non-nurses who have earned a bachelor’s degree in a non-nursing field but want to make a career change into nursing. This program provides students with credit they can apply towards their BSN for having previously completed liberal arts courses and requirements via an accredited bachelor’s degree program. Second Degree BSN programs can typically be completed in two years or less. The Accelerated BSN is a type of Second Degree BSN. It provides students credit towards their degree for having completed their liberal arts requirements via another bachelor’s degree program. An Accelerated BSN program is typically fast pace, and allows students to complete course requirements much quicker than if they were enrolled in a conventional BSN program. Accelerated BSN programs usually take 16 to 20 months to complete. These programs can be quite rigorous and require a full-time effort. A master of science in nursing (MSN) degree program provides an aspiring nurse the opportunity and ability to specialize in a particular area of nursing, such as research or advanced clinical training. This degree can be taken in conjunction with a joint degree in a related field such as business administration, hospital administration, or public health. Joint degree programs are growing in popularity as the complexities of nursing and healthcare administration and management increase. Most students working towards an MSN degree already have a BSN, but there are accelerated MSN programs designed to allow ADN nurses to earn a BSN and MSN simultaneously, or for non-nursing students who have earned a degree in a non-nursing field. The MSN can typically be completed in 18 to 24 months. Prerequisites for most MSN programs include having a BSN from an accredited nursing school, an RN license, minimum GPA and GRE scores, and some clinical work experience. The RN-to-MSN program is specifically designed for registered nurses who have earned an associate degree in nursing (ADN or ASN) and want to earn a BSN and MSN in conjunction with one another. The courses in the RN-to-MSN program are tailored to meet the specific needs of the student so that they receive as much transferable credit for their BSN as possible. The program is also designed so that there’s no overlap between a student’s BSN and MSN courses. The RN-to-MSN allows nurses with an ADN to complete their BSN and MSN in less time than if they were to take the two programs separately. 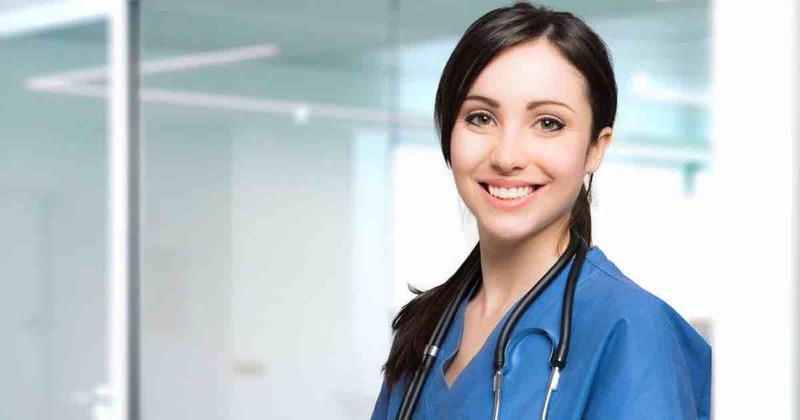 Sometimes called “master’s entry” or “graduate entry” nursing programs, Direct Entry MSN programs are designed for professional who’ve earned a bachelor’s degree in a non-nursing field and want to make a career change into nursing by earning a Master’s of Science in Nursing. The Direct Entry MSN provides students credits for having completed their liberal arts requirements via another bachelor’s degree program. This program allows students to complete an abbreviated version of their undergraduate nursing coursework before moving directly into their graduate nursing curriculum. The Direct Entry MSN, live an conventional MSN, combines preparation for RN licensure with advanced training in a specialty area of nursing. These programs usually take three years to complete. The first year of study is devoted to basic nursing coursework and the final two years to master’s-level nursing courses. The terms “Direct Entry MSN” and “Accelerated MSN” are sometimes used interchangeably. However, some Accelerated MSN programs may be completed in two academic years, rather than the typical three required by most Direct Entry MSN programs. You’ll want to check with the school you plan on attending for more information on their programs. The Post-Master’s Certificate in nursing allows aspiring nurse professionals to show their expertise in a specific nursing field and earn an additional credential. Post-Master’s Certificates are earned by taking specialized nursing exams that are provided by the American Nurses Credentialing Center, which is part of the American Nurses Association (ANCC). The ANCC offers advanced practice, clinical specialist, and generalist exams in over 30 areas of nursing. These certificates not only demonstrate superior expertise but they provide aspiring nurse professionals with additional career advancement opportunities. In the past, many states allowed RNs to earn certification as nurse anesthetists (CRNA), nurse practitioners (NP), or nurse-midwifes (CNM) without earning a Master’s degree. These requirements have generally changed, and some schools offer programs that allow these certified nurses to earn their master’s degrees while earning credit for their past educational and work experience. More and more states and employers are now requiring Master’s degrees to allow these certified non-master’s nurses to practice. If you want to position yourself for maximum career growth and advancement opportunity, you should really consider earning a doctorate degree in nursing. Job demand for nursing professionals with doctorate degrees is expected to grow for the next decade. Doctorate programs prepare nurses for high level careers in health administration, advanced clinical practice, and clinical research. Most doctorate degree programs in nursing take 4 to 6 years to complete. Doctor of Nursing Practice (DNP) programs typically take 3 to 5 years of full-time study to complete. While program curriculum will vary by school, the doctor of nursing degree program usually builds on the role of the advanced practice nurse and is focused on helping nurses develop advanced practice specialist skills in nursing. The central theme of the DNP program is to prepare healthcare leaders who can effectuate change through evidenced-based decision making and system redesign in a variety of organizational, clinical and educational settings. The DNP program emphasizes clinical practice-oriented leadership development. Upon graduation, students will be prepared for leadership positions in research, clinical care delivery, patient outcomes and system management. Graduates will have expertise in managing the complex balance between healthcare access, quality of patient care, and fiscal responsibilities. Doctor of Nursing Science (DNSc) students are trained as nurse scientists with the clinical and leadership skills and the investigative skills of a researcher required to help improve the healthcare system and patient care. Health care economics, statistical analysis, health outcomes measurement and informatics are common curriculum found in DNSc program. A clinical defense and dissertation are common requirements for graduation of a DNSc. Despite its popularity, this program is being phased out in favor of the PhD in Nursing degree by most colleges and universities as the two programs are quite similar. PhD programs in nursing are designed to prepare nurse researchers and scholars who are capable of contributing to the growth of nursing science through scholarly research that advances in health care delivery systems and the theoretical foundation of nursing practice. Upon graduation, students will be qualified to be involved in all aspects of professional and scholarly life, including the conduct of scholarly research, public policy formation and leadership in health care delivery settings. Dual MSN/PhD degree programs are designed for highly qualified nurses who have substantial nursing experience and have earned a Bachelor’s of Science in Nursing (BSN). The dual MSN/Phd is an accelerated, rigorous program that offers master’s level preparation (e.g., nursing specialization) and advanced research and/or practice-oriented training at the doctoral level. The dual MSN/Phd program generally takes 4 to 5 years to complete. A few schools also offer dual MSN/PhD degree programs for students who have earned a non-nursing bachelor’s degree and want to make a career transition into the field of nursing. The MSN/MPH is a joint degree program that combines a master’s level education in nursing, with a master’s degree in public health. The MSN/MSHA is a joint degree program that combines a master’s level education in nursing, with a master’s degree in health administration. The MSN/MSHA is a joint degree program that combines a master’s degree in nursing with a master’s degree in business administration.